Literary powerhouse Barbara Taylor Bradford OBE has joined forces with The Sunday Times to help discover the next generation of young female writers. The Write Stuff short story competition – aimed at girls aged 11-18 who live in the UK – was launched yesterday. 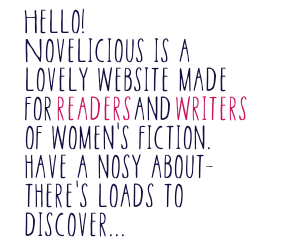 To enter, budding writers can submit a short, fictional story (1,000 words max) with a central theme of ‘friendship’ before noon on 3 July 2015 to be considered for publication by HarperCollins in an eBook anthology and on The Sunday Times website. A number of the girls who create the best short stories will also receive an exclusive story-writing masterclass with Barbara Taylor Bradford and Eleanor Mills, Editorial Director of The Sunday Times. The competition has been initiated following research by National Literacy Trust of more than 14,000 girls revealing that only one in four girls aged 14 to 16 (23%) see writing as cool, and almost half prefer watching TV to reading (49%). The competition is being supported by the Children’s Laureate Malorie Blackman, National Literacy Trust, HarperCollins, The Girls’ Day School Trust, Association of State Girls’ Schools (ASGS), Girls School Association, teen story-sharing community Movellas and children’s author Cathy Cassidy. Malorie Blackman, Children’s Laureate, adds: "I’m all for any competition or initiative that encourages our teens to use their voices and to tap into their creativity. This is a fabulous opportunity for teenage girls to express themselves and share their stories." For more information on the competition and how to enter, visit Barbara Taylor Bradford's website.